Felix was born in 1992, in the village of Lahnstein in the central region of the beautiful Rhine valley. It is likely that he would still be beating on pots and pans to this day, if he had not discovered the sound of the trumpet at the age of 9. Prior to making this discovery, he was thoroughly caught up in becoming a percussionist, but eventually decided that the lack of "real notes" was somehow boring, and went to the Koblenz music school to take trumpet lessons with Isa Mohr. It wasn't long before he was successfully competing in Jugend Musiziert, a German youth solo and ensemble competition, which led to his participation in the Landesjugend-orchester Rheinland-Pfalz (State Youth Orchestra of the Rhineland Palatinate). This was beneficial to his development, not only due to the opportunity to play with other talented young musicians, but also because it led to the acquaintance of Prof. Peter Leiner. 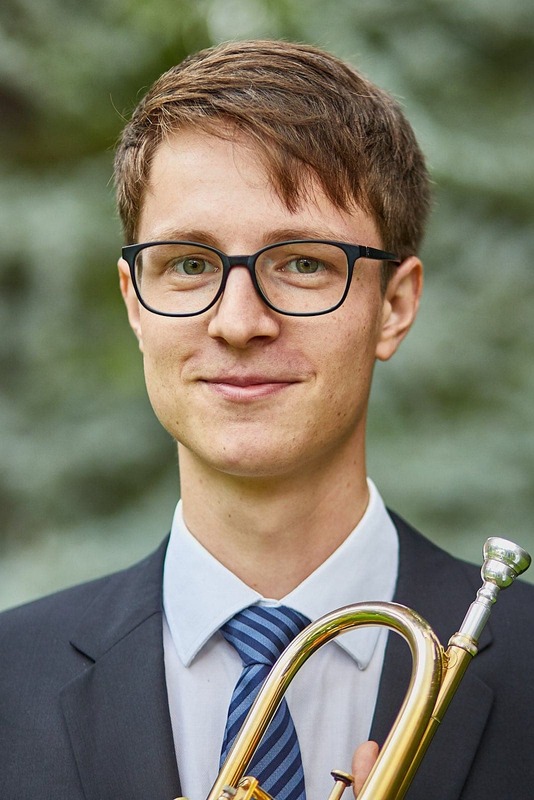 At the age of 14, Felix began his studies with Mr. Leiner as a young student, participating in the trumpet class at the Hochschule für Musik Saar, where he is now a full-time student. He has also played as a professional substitute in the Deutsche Radiophilharmonie Saarbrücken/Kaiserslautern and the Deutsche Staatsphilharmonie Rheinland-Pfalz, and is a fellowship recipient from the renowned Studienstiftung des Deutschen Volkes (German National Academic Foundation).